Danone Waters, which owns Volvic and Evian, has appointed independent agency HeyHuman as its digital and social agency following a competitive pitch. HeyHuman will work on the Volvic, Evian and Badoit brands, managing their social communications and digital work for integrated campaigns. 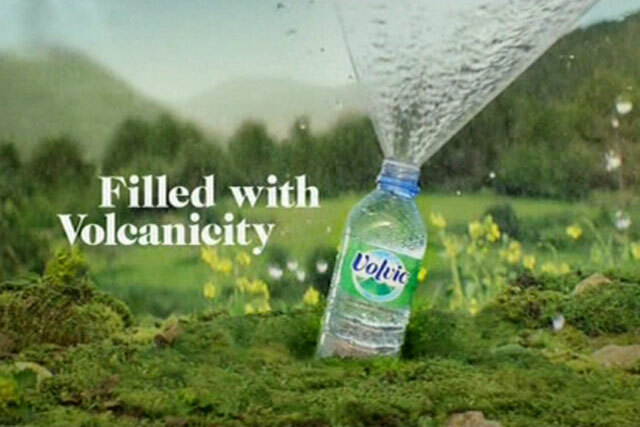 It had already worked on experiential and promotional campaigns for Volvic. The incumbent was We Are Social, which repitched for the business. Neil Davidson, a managing partner at HeyHuman, commented: "Alongside some of the fantastic recent work we’ve been doing for Volvic, this is a great opportunity to utilise our human behaviours approach across a range of incredible brands, such as Evian, Volvic and Badoit, within an expanded mix of integrated channels." HeyHuman rebranded from Billington Cartmell last year as part of a strategy to reposition itself as a creative agency rather than a sales promotion specialist. Sarah Dossett, the marketing director at Danone Waters, said: "HeyHuman’s pitch response was strategically spot on; they really got under the skin of our brands to understand how to creatively deliver against the brief. "We’re incredibly excited about all of the ambitious 2016 plans that we’ll be working on with the HeyHuman team."